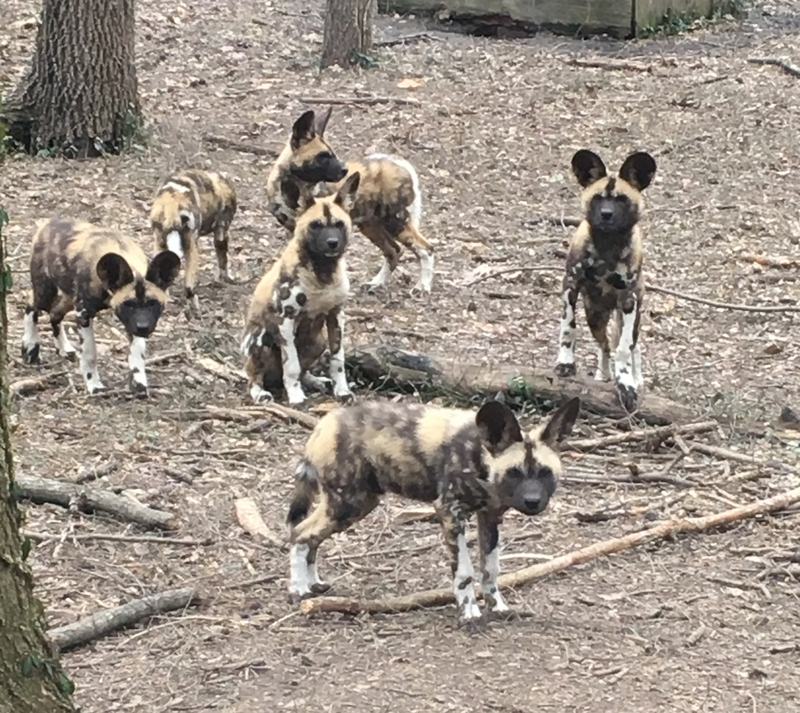 CINCINNATI, OH (April 5, 2019) – It was a good year for the North American population of African painted dogs! 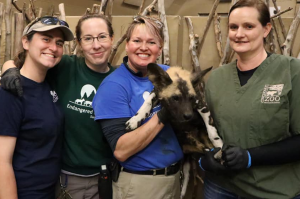 A little too good at the Endangered Wolf Center (EWC) in St. Louis, MO, where two females gave birth to a total of 23 pups within days of each other in November of 2018. The new moms were not willing to share the one male or space with the other female’s litter, so one pack is heading to the Cincinnati Zoo & Botanical Garden! Two large litters of pups, ten in 2015 and twelve in 2016, have been born in Cincinnati Zoo’s Painted Dog Valley, sponsored by US Bank, habitat since it opened in 2014. Its five current residents, from the 2016 litter, are ready to move to other Zoos, as their siblings have, when the SSP makes a transfer recommendation. Until then, to make room for the pups, they will be cared for at one of the Zoo’s off-site properties. The Zoo opens daily at 10 a.m. and closes at 5 p.m. (6 p.m. during the summer) Cincinnati Zoo members and Adventure Ticket holders can enjoy early entry at 9 a.m. For more information visit cincinnatizoo.org. African painted dogs, known for their large, round ears and beautiful, multi-colored coats, could once be found all over Africa. Today they are one of the most endangered carnivores on the continent, with fewer than 5,000 dogs concentrated in parts of southern and eastern Africa. 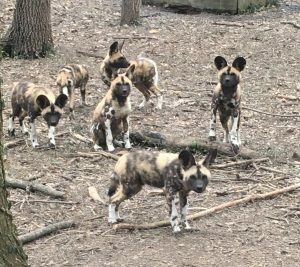 The Cincinnati Zoo supports the conservation of African painted dogs through the Ruaha Carnivore Project (RCP) and the Botswana Predator Conservation Trust (BPCT). Both protect the endangered species by encouraging human-carnivore coexistence. « So Much Excitement in the Cincinnati Zoo’s Botanical Garden, You’ll Wet Your Plants!